Remember all those times your mom told you that eating flaxseeds was good for health? Well, turns out she's right! 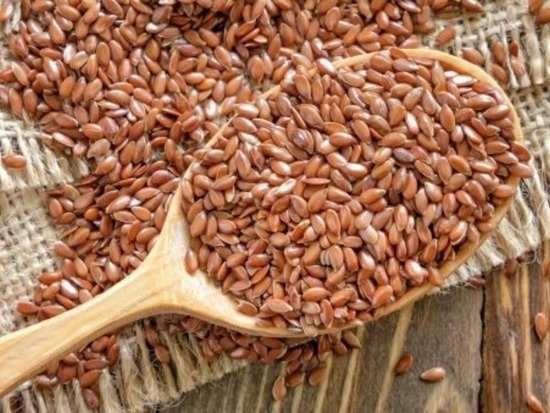 New research has now found that fermentation of flaxseed fibres in the gut can actually help improve metabolic health as well as protect against diet-induced obesity. Certain organisms called microbiota live in the gut tract and are responsible for the breakdown of sugar and how the body processes it. When we consume flaxseeds, the gut microbiota ferments the fibres present in the flaxseeds and this can lead to a number of beneficial processes for the body like increased production of fatty acids and improved immune function. The researchers then went on to conduct a study on mice wherein they measured the amount of oxygen the mice used, carbon dioxide they produced, food and water they consumed and energy they expended. It was found that good bacteria levels in these mice were higher as compared to mice who were not on a flaxseed included diet. In fact, they even had better levels of glucose control and better production of fatty acids. "Our data suggest that flaxseed fibre supplementation affects host metabolism by increasing energy expenditure and reducing obesity as well as by improving glucose tolerance. Future research should be directed to understand the relative contribution of the different microbes and delineate underlying mechanisms for how flaxseed fibres affect host metabolism," the researchers wrote. Well, here's one more reason for you to include flaxseeds in your diet. Stay tuned for more updates. The new slimfast diet is everything you need to shed kilos fast! 10The new slimfast diet is everything you need to shed kilos fast!